Indications: Treating some types of infections caused by certain bacteria. 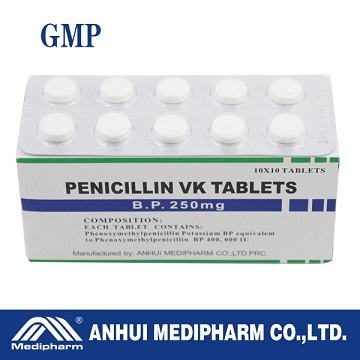 Penicillin-VK is a penicillin antibiotic. It works by interfering with the formation of the bacteria's cell wall while it is growing. This weakens the cell wall and kills the bacteria. Dosage: The dosage of penicillin V should be determined according to the sensitivity of the causative microorganisms and the severity of infection, and adjusted to the clinical response of the patient.